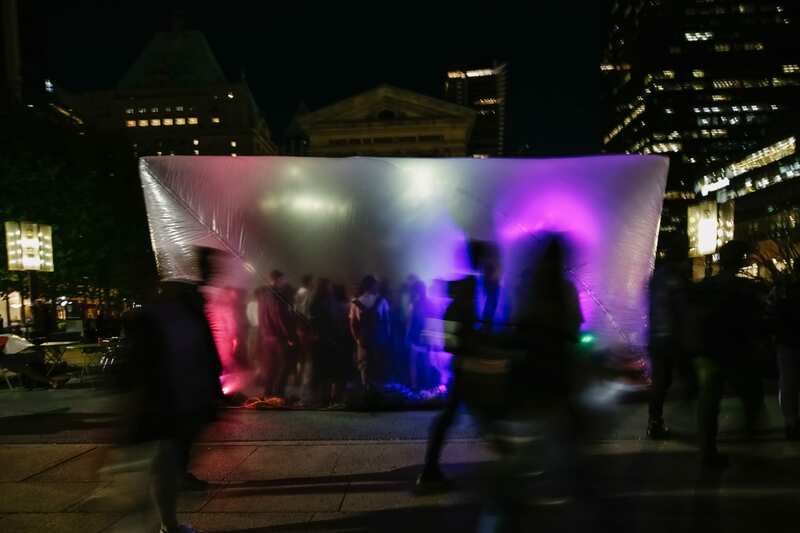 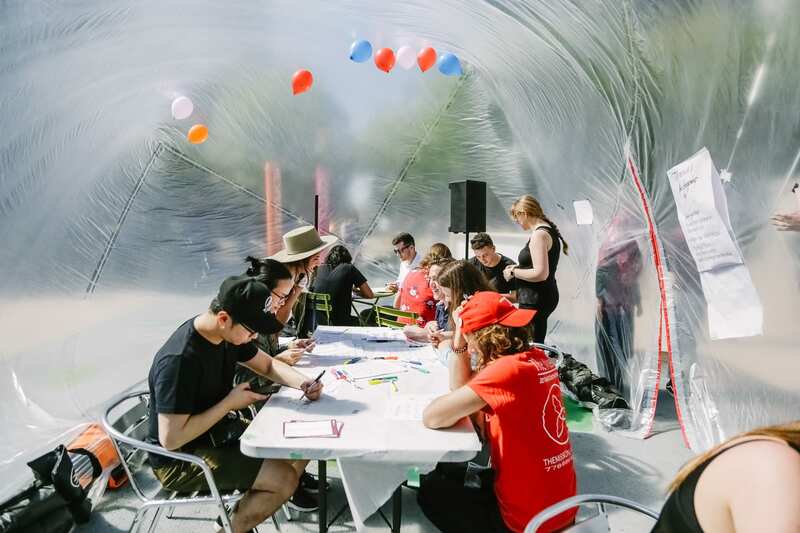 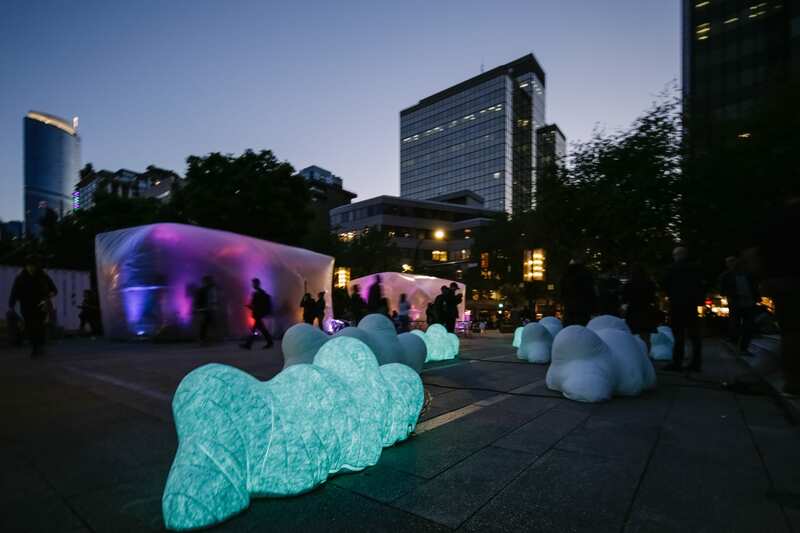 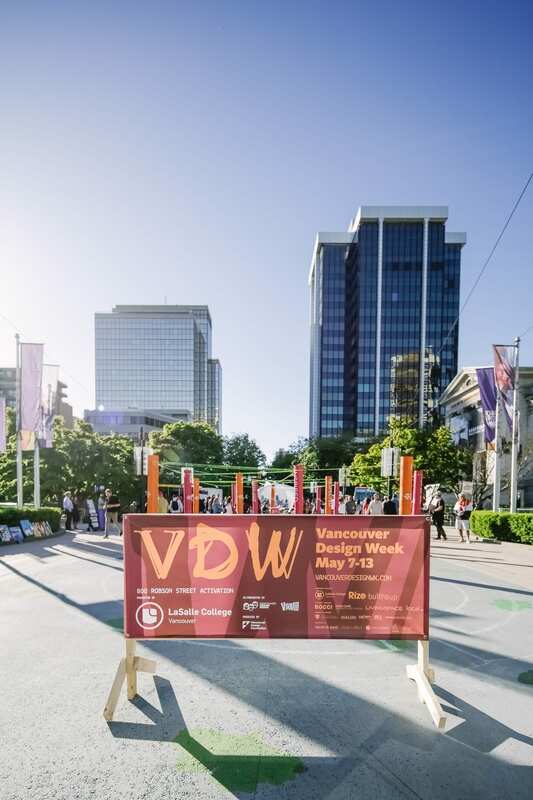 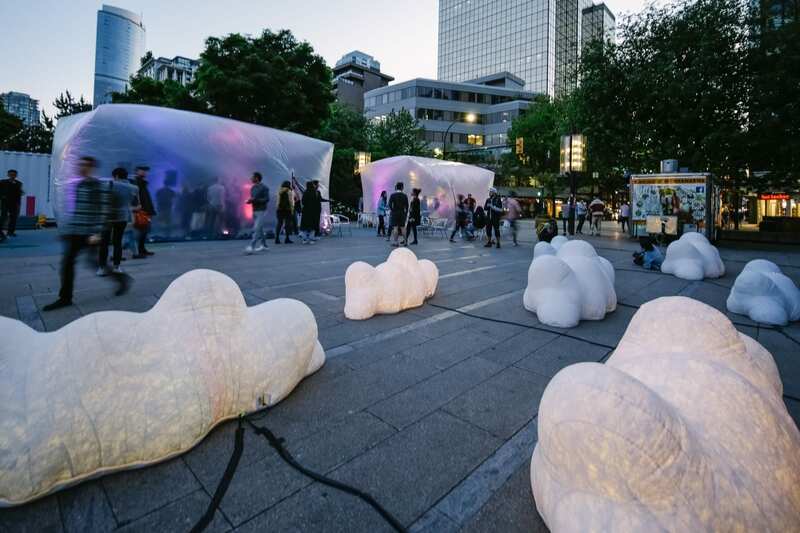 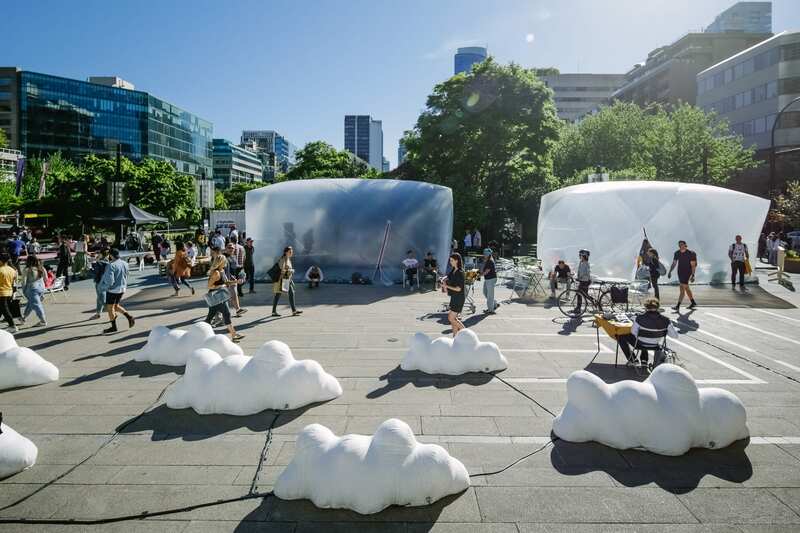 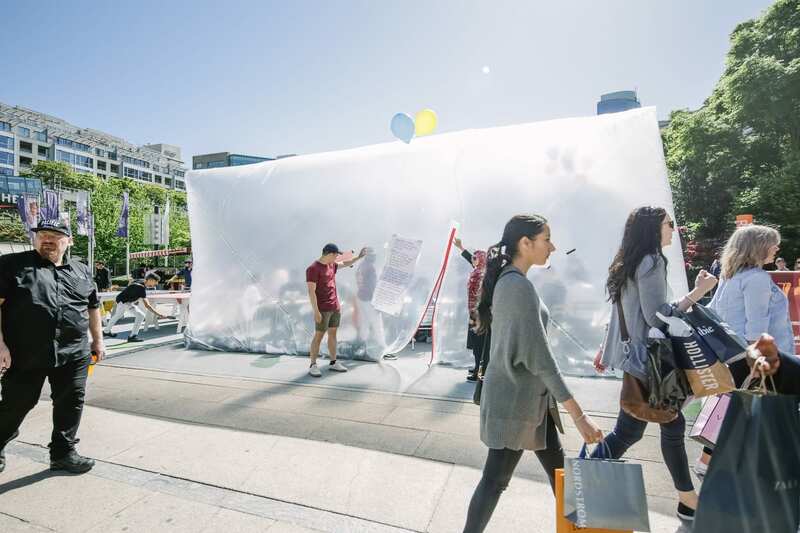 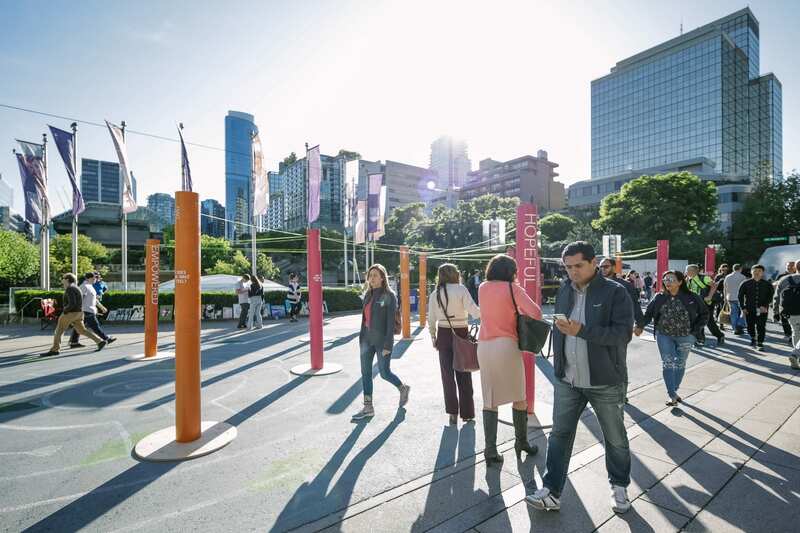 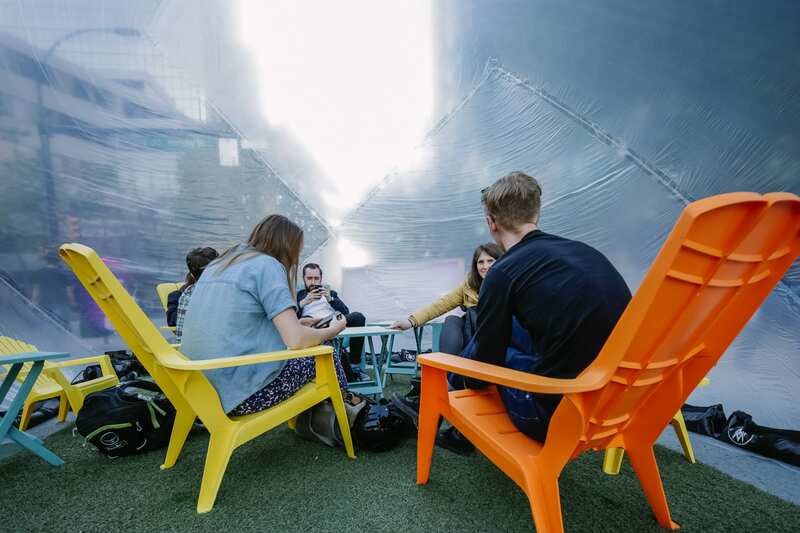 On May 10th-13th, Vancouver Design Week occupied Robson Square for a multi-day event series that included the noteworthy VDW Launch Party, public space activations, and gathering spaces for people to connect with design. 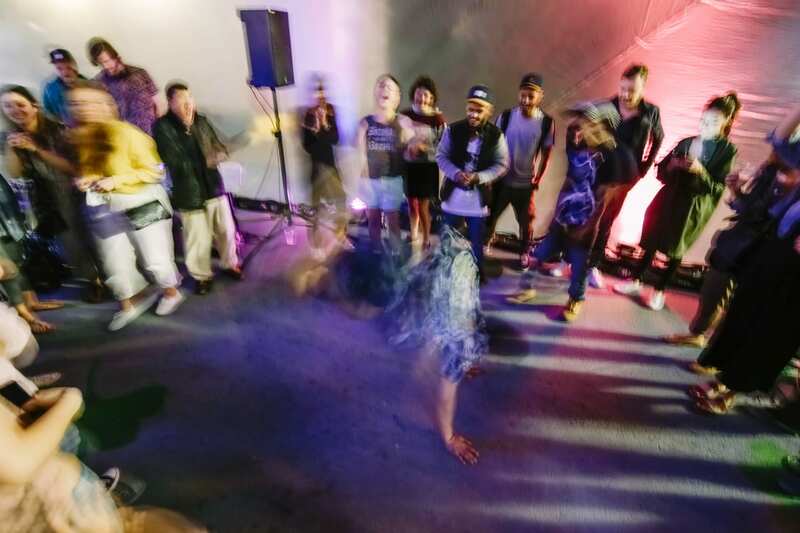 Music Peformance by EDYSART, Nightwork, and Loner. 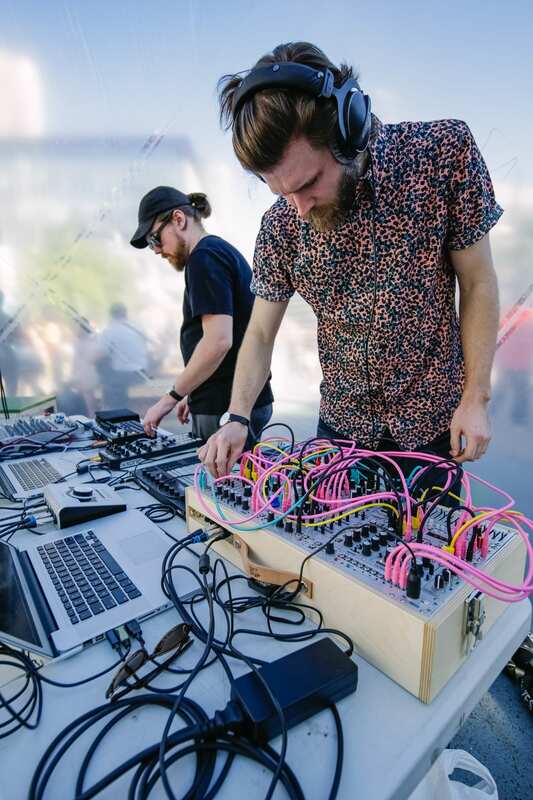 Refreshments by El Kartel Food Truck and Oddity Kombucha. 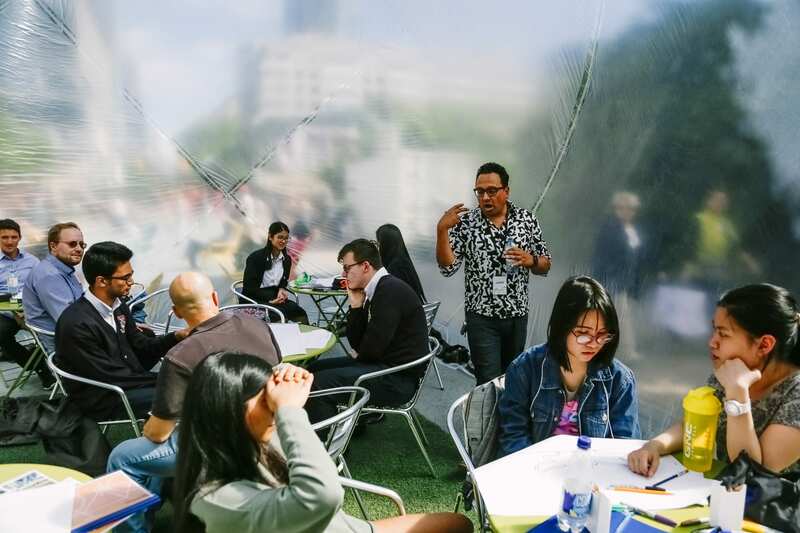 Lettering workshop featuring Alanna Munro, Brother Jopa, and Myrrh & Mountain. 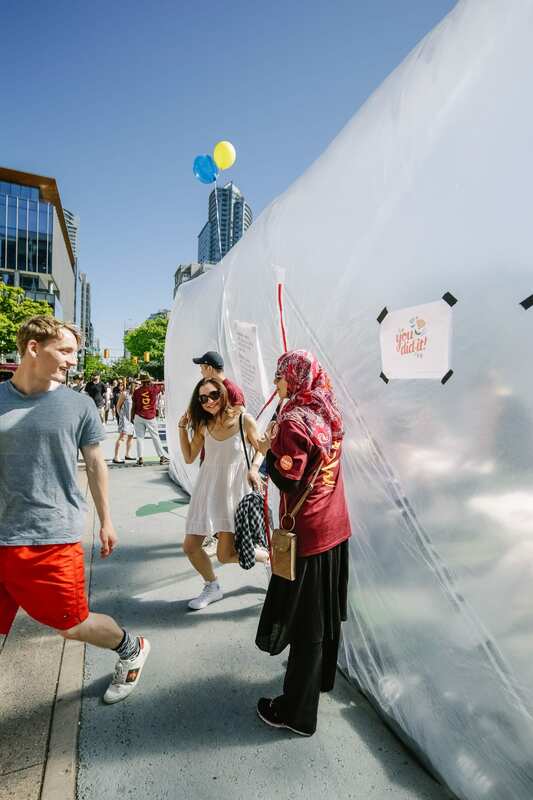 Refreshments by Johnny Can't Surf Mobile Cafe.